Home » Recipes » Desserts » No Bake Rainbow Cheesecake: Simple! No Bake Rainbow Cheesecake: Simple! 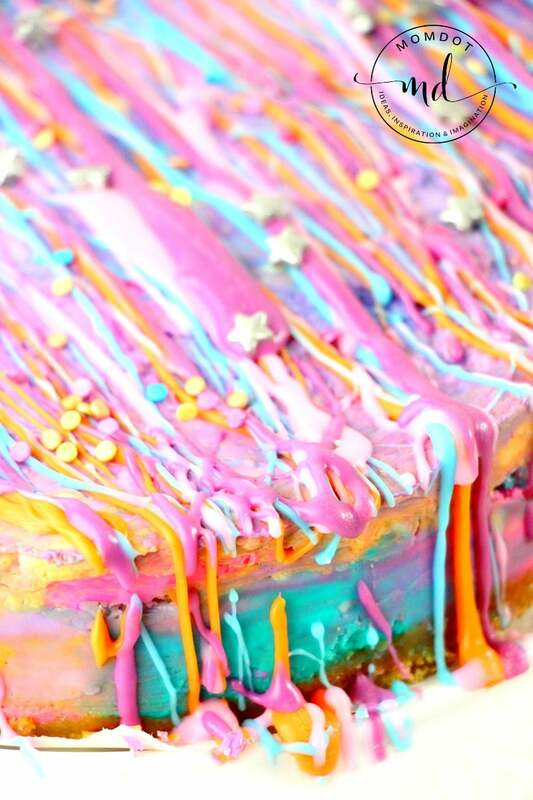 Hot off the heels of no bake unicorn poop cheesecake, this no bake rainbow cheesecake is another way to make a striking and delicious dessert that fulfills a gorgeous party table, a birthday or even just a fun way to enjoy a treat that WOWs! You will love creating this cheesecake so much that eating it is just a bonus. Scroll below for instructions on how to make a no bake rainbow cheesecake, including a printable version at the bottom of the post. Before you get started, you should have all your items prepped. 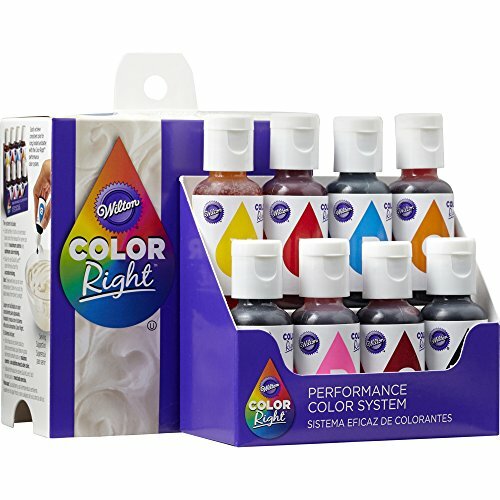 While most of the items you can grab at the store, the one item when it comes to making colorful food that I highly recommend is the Wiltons Color Performance Right dye. 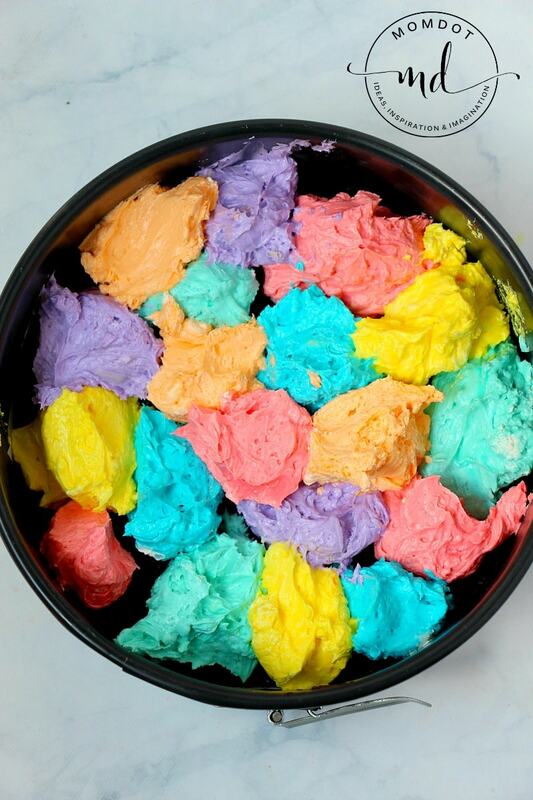 Its great for beautiful desserts and food preps and I even use it for crafts like my rainbow fluffy slime! This is the only dye I have found that doesn’t water down my food and has consistently pretty colors. With amazon prime you can have it there in 2 days, so even better! GET AMAZING FOOD DYE HERE FOR YOUR CHEESECAKE! Now lets get started so you can get to the eating. Line and grease a 6″ springform pan . Combine the cream cheese and sugar until light fully combined. Separate the cream cheese mixture into 6 bowls and add a couple drops of each dye to each and stir to incorporate, then add 3 Tablespoons of cool whip to each bowl and mix until just combined. >Use an offset spatula or the back of a spoon to smooth the cheesecake down. Place the candy melts in small, separate bowls with 1/2 Tablespoon shortening or coconut oil. Drizzle the cooled candy melts all over the cheesecake and then sprinkle the unicorn sprinkles over top while the candy melts are still wet. While its so easy to customize a cheesecake, if you want some inspiration, visit No Bake Unicorn Cheesecake and No Bake Patriotic Cheesecake too!